See also Art Links, Arts Journal, Dada and Confessions of a Professional Photographer. 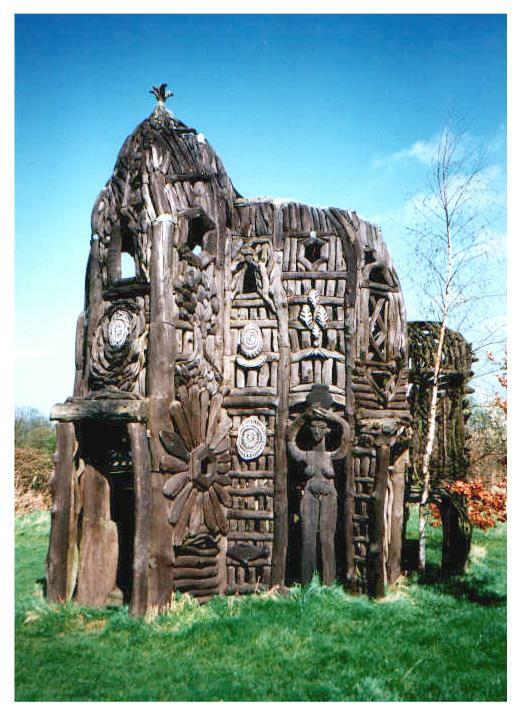 Ben Wilson's Tree Keep at the Wysing Arts Centre near Cambridge is a fabulous two storey wooden construction, intricately carved by hand, with integral sculptures of man, woman, animals, sun, moon, flowers. Go see it! 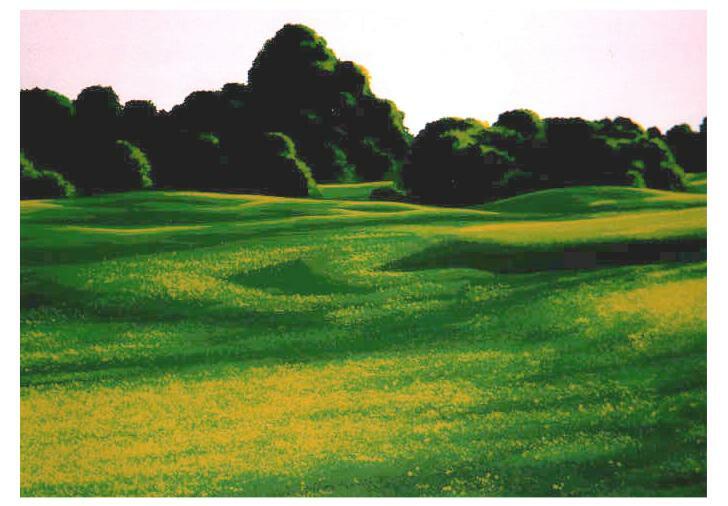 Wonderful landscape painting on card, 700mm x 300mm, by Daniele Fissore. 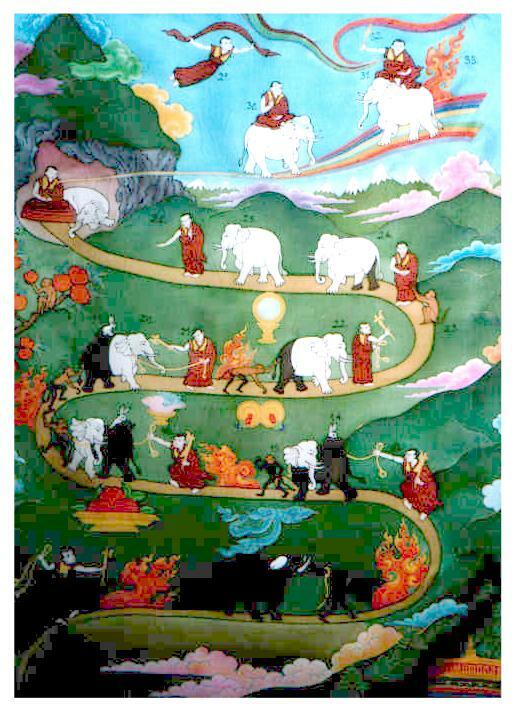 A Tibetan cloth, hand-painted on silk, 2m x 1m, depicting the various stages on the Path to enlightenment, beginning at the monastery (not visible at the foot of this image). Notice the gradual change of colour of the elephants and monkeys from black to white and dark to light brown. 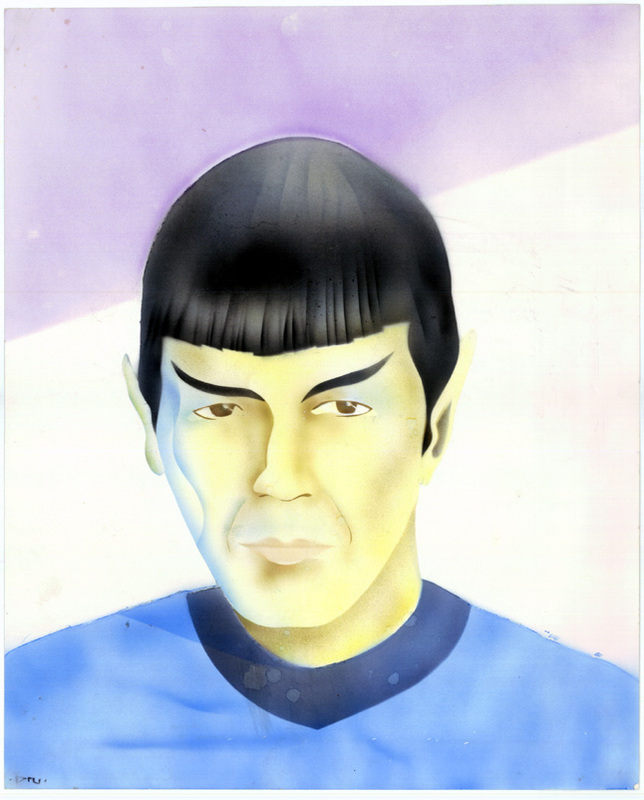 Painting of my namesake Mr. Spock by Dru Cole, 450mm x 550mm. 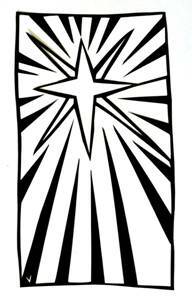 Christmas Star, one of Vanessa Stone's paper cutouts. 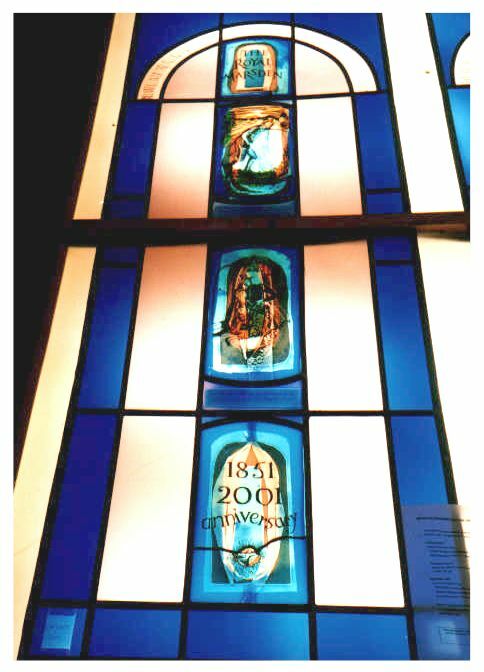 Twin-panelled, fused and leaded glass window in a hinged wooden frame, 2m x 1m, by Tessa Verrecchia, March 1999. 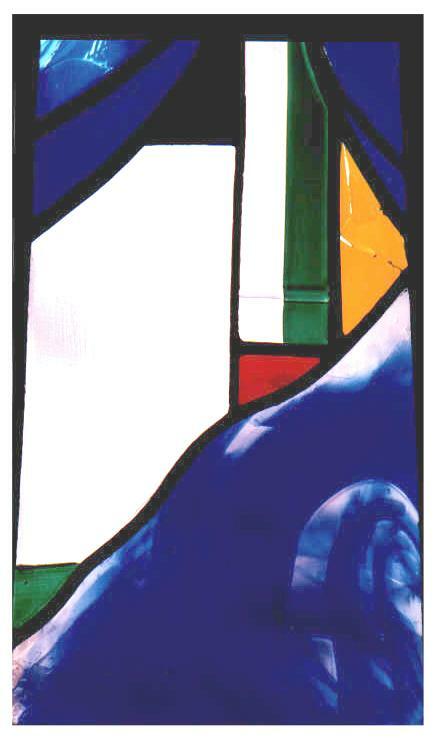 One of two commemorative fused and leaded glass windows for the Royal Marsden Hospital in London, each 2.5m x 0.7m, by Tessa Verrecchia, May 2002. 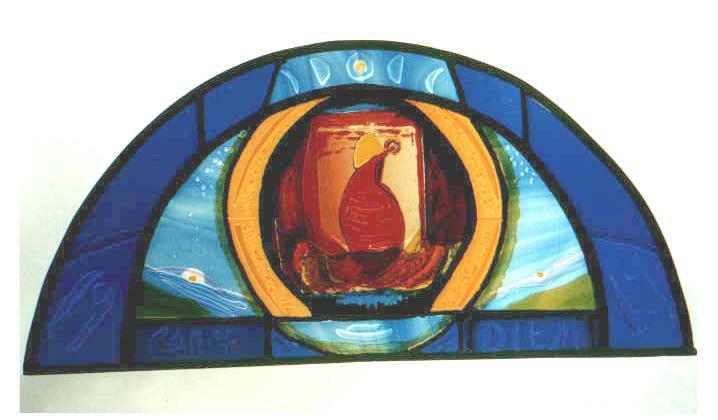 "Carpe Diem" fused and leaded glass window, 1m x 400mm, by Tessa Verrecchia, June 2000. A close-up of The Baptistry Window in Coventry Cathedral. Stained glass windows above the altar at Ely Cathedral. The Stained Glass Museum is well worth a visit, and features windows from medieval times to contemporary works.